WE NOW OFFER FINANCING THROUGH A VARIETY OF SOURCES ALL CREDIT IS WELCOME JUST CALL OR APPLY ONLINE AND LET US HELP YOU BUY YOUR NEXT VEHICLE. All payments and down payments quoted are based on superior credit rating. We have included numerous photos so you can be the judge of how good of condition this vehicle is in. We are more than willing to deliver this vehicle to any local mechanic shop so you can have a mechanical inspection performed at your expense. 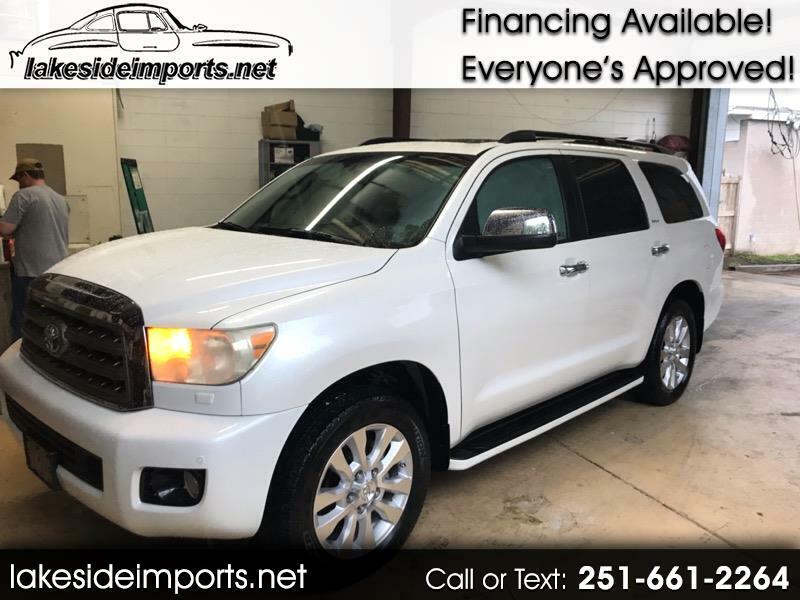 We are a small used car dealer located in Mobile Al that takes great pleasure in offering you vehicle well below current NADA retail prices we specialize in used late model higher mileage vehicles and encourage you to call us at 251-661-2264 with any questions you may have. Just ask for BJ Green, Edwin Gunter, or visit our website for more pictures www.lakesideimports.net. We also service, Pensacola, Ft. Walton Beach, and Navarre FL. We service Mobile, AL, Theodore, AL, Tillmans Corner, AL, Saraland, AL, Creola ,AL, Satsuma, AL, Jackson, AL, Pascagoula, MS, Ocean Springs, MS, Gulfport, MS, and Other Locations Across the United States. We have Finance Options for most credit types! Location: 913 Lakeside Drive, Mobile, AL. Zip Code is 36693. Message: Thought you might be interested in this 2010 Toyota Sequoia.